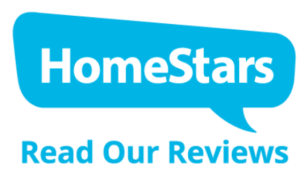 Best Waterproofing Company that renders all of their services just on one phone call. Viper Home Services has the number of services that make your building more reliable on the ground. Above all, the award-winning method of Water Guard Weeping Tile system is our specialty in Waterproofing services. If you are searching Waterproofing near me, then your search is over. Viper Home Services provides its amazing Waterproofing services throughout “Toronto”, “Mississauga”, “Vaughan”, “Markham” and other neighboring areas. Waterproofing services by Viper Home Services will protect your concrete’s integrity without the need for continuous maintenance. The best waterproofing company is trained to tackle every problem with its 20 years of experience. Whether your building is facing any moisture issue or flooding we are here to deal all of your problems with great expert solutions. If your basement is wet, cracked, or smells musty, our expertise will help in all sections of your building. Our waterproofing services notably include damp proofing that covers roofs, foundations, exterior walls & wet areas. 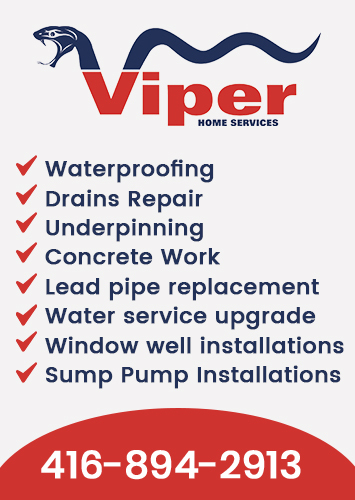 Viper Home services are considered to be the Best Waterproof Company in whole Toronto as our well-trained technicians are ready to serve on one phone call. 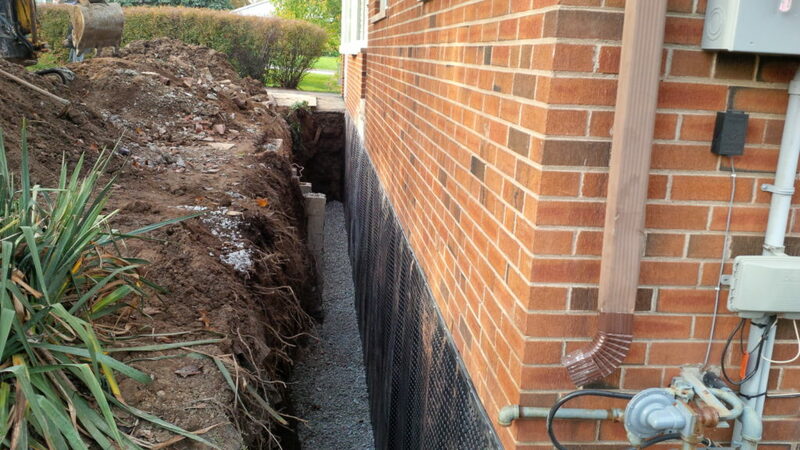 Give us a call to estimate your work then get your work done. 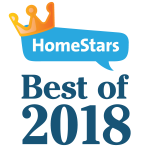 As an experienced waterproofing company with over a 20 years of experience, Viper Home Services understands the best solutions for your basement moisture or flooding issues. All of our services, like the award-winning WaterGuard weeping tile system, are custom designed to fit your home. Our production and service departments are full of trained technicians to install and maintain these products throughout Toronto, Markham, Mississauga, and areas nearby. If you want to get started on waterproofing your basement or need someone to find out what’s causing issues below your home? 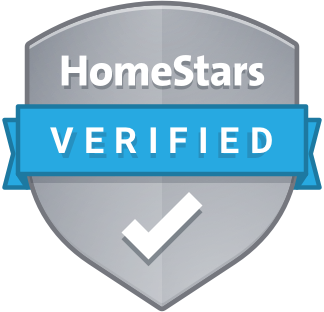 Call 416-894-2913 or click the button below to schedule a free estimate or inspection today!